At least eight people are dead and hundreds displaced after a massive storm system swept through the Southeast over the weekend. 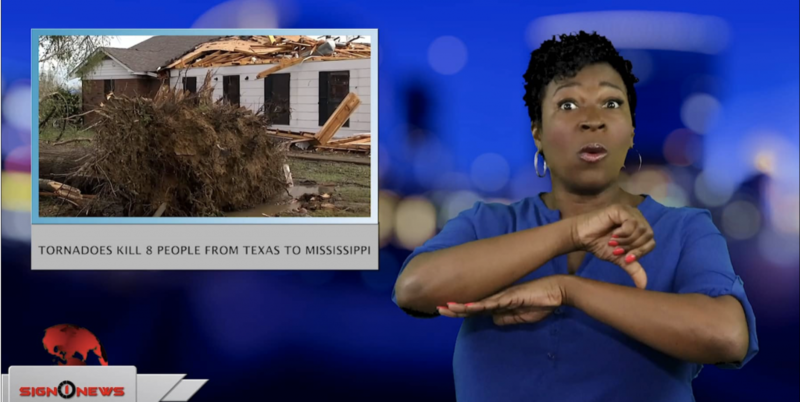 The deadly storm system moved from Texas all the way up the East Coast. Four people were killed in Texas, including two children, two people were killed in Louisiana, one person was killed in Mississippi and another in Alabama. In Mississippi a tornado destroyed the only volunteer fire department in the small community of Hamilton. Schools in Franklin, Texas were closed today because the entire town lost electricity. Even though the severe weather threat has passed, the National Weather Service says another round of severe weather is expected to start later this week. This round of storms will include tornadoes, damaging winds and hail from the Rockies into the Central Plains. The threat will begin on Wednesday and is expected to move from Texas to Iowa and Oklahoma then pushed East on Thursday and Friday with more severe weather over much of the South.